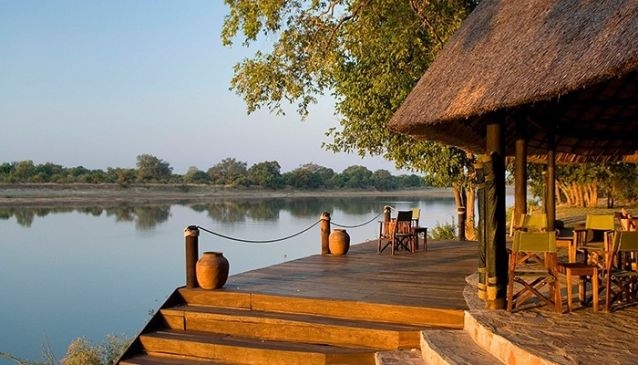 Nkwali is located on the banks of the Luangwa on a stretch of the river overlooking the South Luangwa National Park. The Camp is situated on Robin Pope Safaris' private land outside of the park where there is access to a private game viewing area behind camp as well as exclusive access into the park either by boat or across the pontoon. The six chalets with bamboo woven walls and thatch roofs open up to views of the river as well as open air en-suite bathrooms.